Plunged into 2014 with two lovely sweet dishes which make its seasonal appearance on the streets and sweet shops of Old Delhi. For all those who have a sweet tooth, here’s presenting to you Daulat ki Chaat – a seasonal delight available in the winter months. Why seasonal? Because it is prepared from foam of cold, churned milk and it will not able to able to tolerate the heat of blazingly hot Delhi. As you make your way from Chawri Bazaar Metro Station, take Gate no 3 (Hauz Qazi Chowk) and you will see carts ferrying Daulat ki Chaat along the road leading to Kinari Bazaar, Parathewale Galli. Rahul Verma in his article “A Delicate Delight of Winter” (The Hindu, 17 Deb 2013) aptly describes this dessert as a delicate delight. Who would think that you can prepare a dessert from the foam of the milk? As you take a spoonful of the dessert you are supposed to feel the taste of saffron flavour, because of the saffron flavoured milk that is added to the foam of milk resembling heaps of cotton balls neatly placed against each other. As you order a plate, the hawkers get your plate ready with the scoop of foamed milk, lightly flavoured with saffron and topped with powdered sugar called karara. Finally it is finished with a generous doze of crumbled khoa. 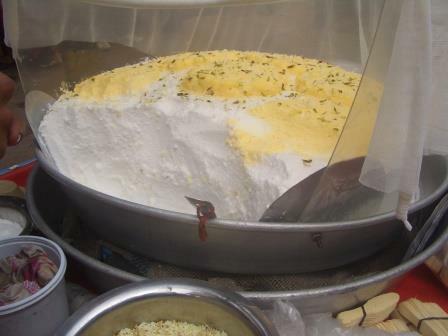 The “delicate- delight” of Daulat ki Chaat is available in the winter months. If Daulat ki Chaat is Old Delhi’s “delicate-delight” then Haabsi Halwa is the rich –delight to satiate your sweet –tooth available in sweet shops from October – March. Thanks to Sumbul ( a fellow foodie), I got my first taste of Haabsi Halwa from Sheereen Bhawan sweet shop in Matia Mahal. 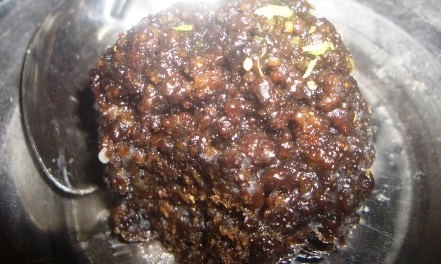 The black colour of the halwa owes to eight hours of boiling the milk. The richness comes from dollops of ghee (clarified butter) which makes the nuts (almonds, pistachios and cashew) moist. The faint heat of Haabsi Halwa comes from a generous addition of cloves which also adds to the colour according the salesperson of Sheereen Bhawan. Haabsi Halwa also works as an aphrodisiac for men. The Delhiwalla (a wonderful blog on Delhi) in their post on haabsi halwa mentions “Said to heat up the body, habshi halwa is recommended for men wanting to increase their stamina in love-making.”1 The Delhiwalla recommends to eat haabsi halwa at Haneef Doodhwala. I am looking forward to try out haabsi halwa at the recommended place. If you have a sweet –tooth like mine, trek down to Old Delhi’s lanes to taste the delicate and rich sweet delights of winter. Beat the chill with a plate of daulat ki chaat and haabsi halwa from Old- Delhi’s sweet shops and by-lanes. P.S. To new beginnings and sweet- encounters. Wishing all itiriti readers a sumptuous 2014. Whenever I revisit my childhood, among all other moments, there comes the day of Holi in my mind. The celebration of the festival starts with ‘Holikadahan’ on the night of ‘choti holi’ (the day preceding Holi). The following day is called ‘badi holi’ or ‘Dhulendi’ when people visit each other’s houses carrying ‘gulal’; younger generation would generally have chemical mix or synthetic colours. Faces and bodies are imbued followed by greeting and hugging each other.It is suggested that on this day we should forgive our enemies and lend a hand of friendship, marking a new beginning. This idea of forgiveness makes the festival spiritually rich. Holi is exclusive because of its special food items- tempting and spicy ‘Panike bare’ and sweet ‘Gujia’. As a kid, ‘Gujia’ – the sweet samosa – was cherished by me for two reasons. Firstly, this is the only sweet prepared during a festival which is not offered to God during main ‘puja’ (as in the case of other Hindu festivals); you can have it right then and there. Secondly, Gujia preparation is a collective effort with equal participation from family members, relatives and sometimes even neighbours come together. Though this practice might not be prevalent in cities but I was lucky to come across in the various story telling sessions of my grandmother (grandma). Like any other middle class family, my grandma also tried to pass each and every skill of cooking that she knew to me. Similarly, as a curious child, I tried to learn everything religiously. Generally women prepare ‘gujia’, but as I have witnessed, men also have petty roles to play. ‘Gujia’ has mainly two sections- cover and the filling. 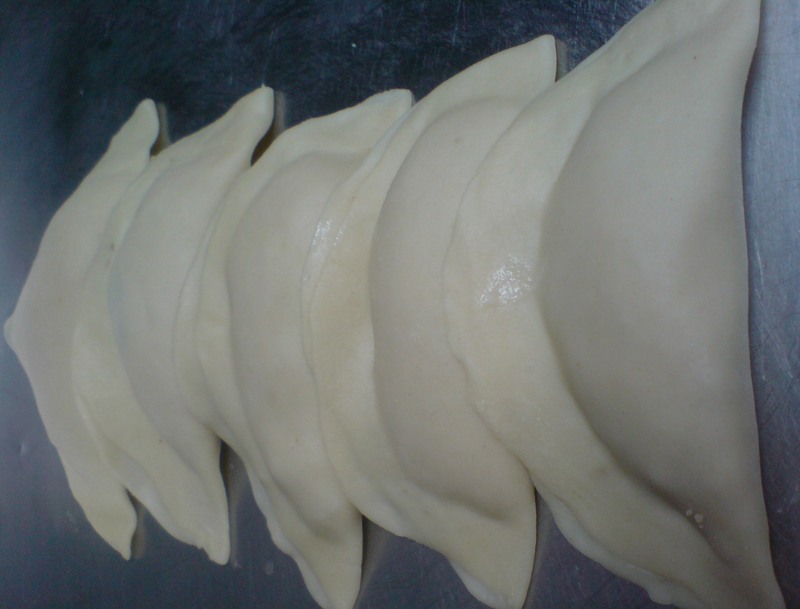 Cover is universally made of ‘maida’ and filling can be of various sorts depending upon one’s taste. It can vary from the pure ‘khoya’ (hard milk) to ‘suji’ (‘rava’ or semolina) to dry fruits to coconut and so on. The ‘gujia’ that we make is primarily made of ‘khoya’ while having all other mentioned ingredients as part of the filling. For cover, ‘maida’ is kneaded with ‘ghee’ and hot water. 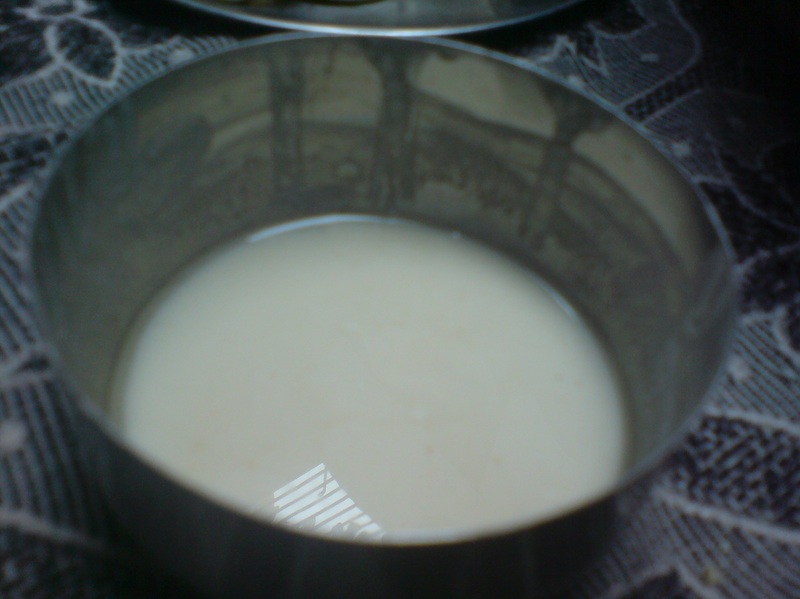 It is to be taken care that the mixture should be tight enough (tighter than that is used for chapattis). For stuffing, ‘khoya’ is to be mixed with fried ‘suji’, powdered sugar, grated coconut and other dry fruits- cashew nuts, almonds and raisins etc. A solution of ‘maida’ and water is also made that is to be used as glue. Once these three mixtures are ready, small balls of tight ‘maida’ mixture are prepared; these are then uniformly rolled out converting into round sheets. Figure 3: Rolled Maida Balls. Loose ‘maida’ solution is then pasted on half of the round ‘maida’ sheet and then the filling is done. The round sheet is folded in a way making it a half stuffed circle. With the help of a side cutting machine, this stuffed circle is then given a design on its corners; that makes it look aesthetically beautiful. Rest of the ‘maida’ balls go through the same process. While this process is going on these raw ‘gujia’ are kept on specially constructed neat and clean bedding. 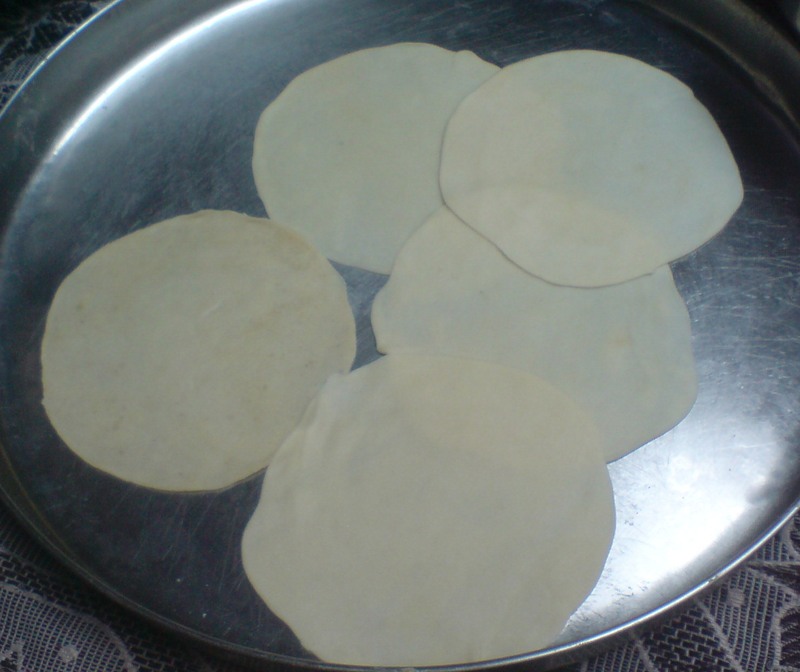 These are placed delicately and covered with a thin cloth. 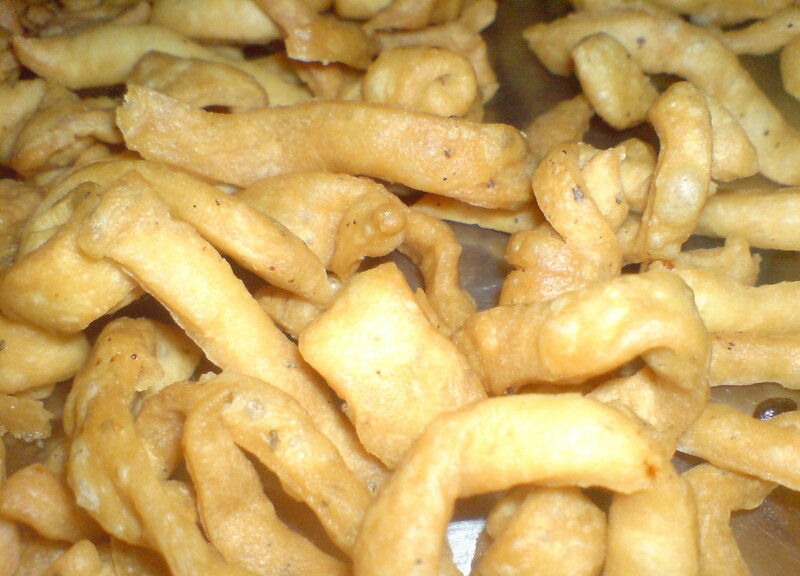 Once all ‘gujia’s are stowed, those are deep fried together. Almost always we are left with some extra ‘maida’ mixture that we use to make ‘namakparay’. That is how you get a combination of hot and sweet ‘gujia’ and salty ‘namakparay’. The genesis of Langcha as we all know goes back to an artisan in Burdwan ( a district in West Bengal) who used to make Pantua ( fried sweetmeat made of flour and chchana dipped in sugar syrup) of huge sizes. 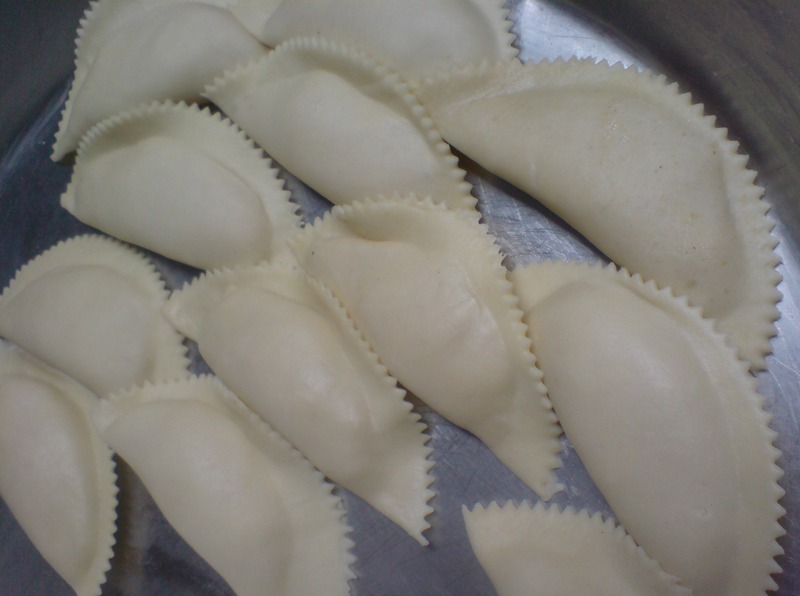 Langcha a sweet meat – in popular parlance was created by the erstwhile artisans of Shaktigarh in Burdwan. 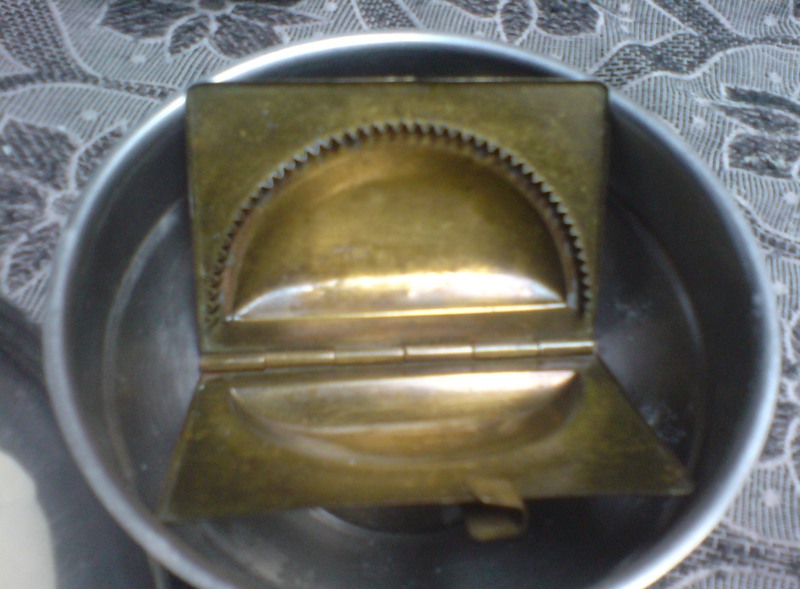 How did Langcha Dutta ( the artisan credited with this invention ) land in Burdwan? The noted novelist Narayan Sanyal in his historical novel “Rupamanjari” actually tells us a different story. Goutam Dhoni a noted journalist and correspondent of “Ekdin” a Bengali Daily tells me this fascinating tale in his house over a plate of Nikhuti ( a sweet famous in Krishnanagar). In his latest article in Nadia Darpan( a local Bengali Daily) Dhoni brings to our attention how Langcha has travelled from Krishananagar ( a town in Nadia District) to Burdwan . Drawing from Narayan Sanyal’s novel Rupamanjari Goutam Dhoni(2011) argues that the genesis of “Langcha” actually goes back to the matrimony alliance between the two seats of power in two different parts of present day West Bengal. A matrimony alliance between the royal households of Krishnanagar and Burdwan changed the genesis of “Langcha”. For those unfamiliar with Langcha; it is a fried oval shaped sweetmeat fried and dipped in sugar syrup. 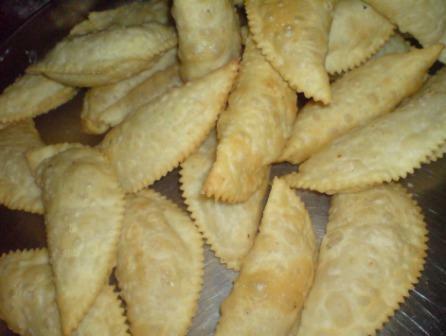 It is made from Chchana( cottage cheese- an ingredient common to most of the sweets in Bengal). The story goes that a girl from the then Krishnanagar royal household was married to a son from Burdwan royal household. When she became pregnant she lost her appetite and refused to eat any food. During this time she expressed a desire to eat “langcha” – a sweetmeat that artisans from her maternal home used to prepare. The then ruler of Krishnanagar made arrangements to find out who prepared “Langcha” but none of the Modaks/ Moiras( The Bengali confectioner; a caste group involved in preparation of sweets) in Krishnanagar seemed to be aware of Langcha. Apparently even the lady did not remember the name of the sweet. 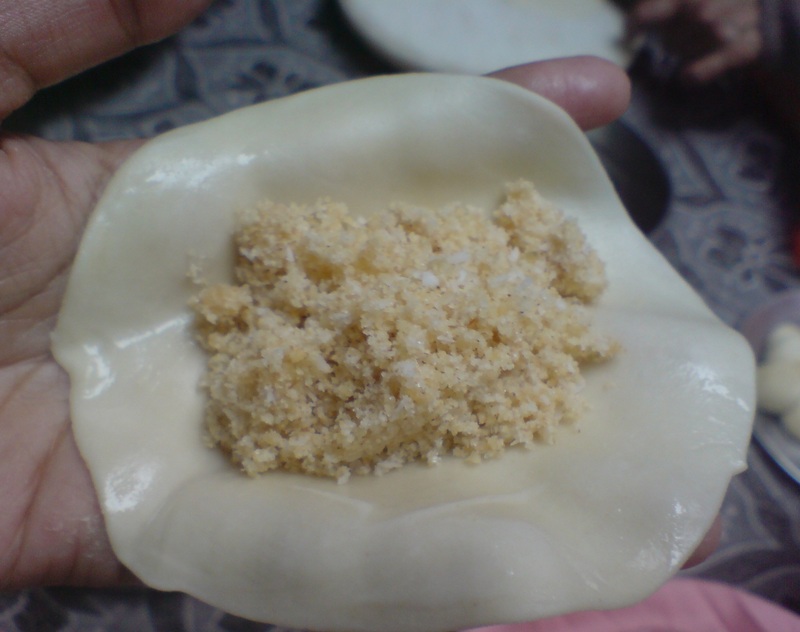 She had mentioned “Langcha” because the artisan who used to prepare this specific sweetmeat used to limp and walk ( in Bengali Langchano means to limp). Then the artisan was summoned to the Krishnagar court and was sent off to Burdwan. He was lured with lands to settle in Burdwan so that he could prepare delicacies for the royalty. Currently Shaktigarh, Burdwan district of Bengal is credited with huge Langchas but the shops in Krishnanagar take a special pride in how “Langcha” has travelled from Krishnanagar to Burdwan.